Loyal fans of Sabrina Ward Harrison rejoice! , invites her dedicated fans on an all-new voyage of self-expression. 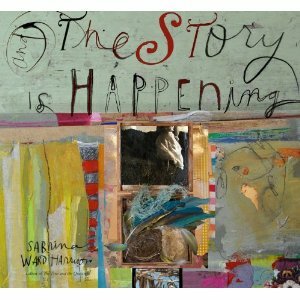 This vibrantly illustrated journal showcases Sabrina’s deeply personal mixed-media artwork and handwritten, thought-provoking prompts. A vellum pocket attached to the inside front cover holds printed pieces of ephemera for collaging-sure to inspire anyone obsessed with paper to create mixed-media art of their own. With plenty of room for sketching, collaging, or writing, this guided journal is the place to dream big, be messy, and capture creativity.